Part 4 of this parallel user’s guide covers working with routes and tracks and the rather odd way of working with files that MM has adopted. This is a long post and apologies for that, but it covers some very important topics and if we don’t get these right we’re scuppered. You will find that Routes are more flexible to change than tracks, but tracks are quicker to load into memory, especially if you’re creating lots and lots of routes – but we discuss file handling later. This is something you’ve probably already done – it’s the first thing anyone does really in MM. It’s also something that will become second nature as it’s the core to anything you do in MM. Use this icon, in the ‘Standard’ icon ribbon, to begin a new route. Nothing will happen when you click it, not until you click on the map screen. Your first click will drop and anchor a waypoint onto the map. As you move your mouse a blue (by default) line will stretch away from the locked waypoint and when you click on the map again, another waypoint will be dropped and anchored. By clicking like this you string a number of waypoints together into a route. The short video below may help. Two things quickly become apparent. Firstly you run out of map very quickly and you need to become adept at scrolling the map while the route tool is still selected. I have two main ways of doing this. The first and least used is to use my left hand on the directional arrows on the keyboard and keep the screen moving in the direction of the route in that manner. This is logistically awkward. The second and almost exclusive way is to use the mouse wheel to zoom out and then back in again. This can be done while the route tool is active and with some practice can be really quick and simple. In the video above, you will note how I move my cursor away to the right once I reach the edge of the screen, I then zoom out a couple of time and then zoom back in, grabbing a new chunk of map real estate at the same time. This is a very effective way of creating ‘mouse-only’ routes – no need to use the keyboard here. Secondly, once you’ve ‘closed’ a route it’s very difficult to manipulate – so my rule of thumb is never close a route – and what I mean by that is never make that last waypoint click on top of the first. Always make the last waypoint just beside the first one if you’re making a circular route. See below. The route is ‘open’ (left hand, bottom, of route shown below) and easier to manipulate or amend. MM automatically names routes in incrementing numbers, so the first one you create is called “route” is first then “route1” then “route2” and so on. Each new route is given a new set of waypoint numbers based on the last digit of the route name (see below). Once you’ve hit [Esc] or double clicked the final waypoint, or clicked back on the first waypoint the route is created. But what happens if you decide you want to change it? We look at some of these option in more detail in a minute, but for now lets look at adding waypoints. Adding waypoints into the middle of a route is a bit of a faff, as each one has to be added individually using the right click menu for a waypoint. Adding waypoints to the end of a route is a bit easier. 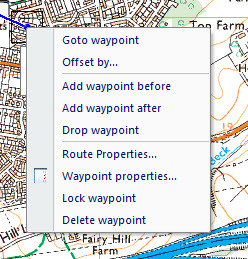 Right-click the last waypoint, select ‘Add waypoint after’ and this simply re-activates the route tool and allows you to continue dropping waypoints in succession, one new waypoint per click. If you find you need to add a bunch of waypoints to the start of a route, the best option is to first reverse the route (right-click the route and select ‘Reverse Route’), add the waypoints to what is now the end of the route and then reverse again when you’re finished. You can complete by re-numbering to sort out the waypoint numbers. Now let’s look at the various options available to us once we’ve created a route. Most of these can be accessed from the right-click menu on a route. You need to click on the lines between waypoints to get this menu, not the waypoints themselves (different menu, see below). So you’ll need to zoom in to the right level to be able to right click a route. Follow route: is only appropriate if you have a GPS attached and will then show you how far there is left to walk and in which direction to go to reach the next waypoint. Insert Waypoint: does what it says – adds a waypoint into the route at the point you clicked and allows you to select where to drop it. Lock, Hide and Delete: are all obvious. If you lock a route, you also lock all the waypoints in that route. You can’t delete a route (or a waypoint) if it’s locked. If you do delete a route, you also delete all the waypoints in that route. Hidden routes stay in memory, just don’t appear on the map. Sync to Cloud: One of the updated features in MM v6 is the ability to quickly export an item from MM on your PC, store it in the ‘Cloud’ and the download it from there onto another device, such as MM running on your iPhone or Android mobile device. I cover this in a later section of the guide. Save As: allows you to save just that route to a file, all on its own. Useful if you want to save that route and not all the others that are currently in memory – see also working with Overlays later. For MM v6 the new default file type is GPX, rather than MMO which it has been for previous versions. Digital Map Shop: Not completely sure what this does in respect of Routes, but then I don’t use the DMS. Print Route: The purpose of this option is obvious and I cover printing in a later installment. Route Card: Exports the contents of the route to a Route Card. 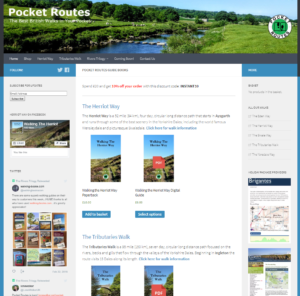 The template of the route card is stored locally on the PC and can be edited to suit your own purposes. The output format is HTML, so it opens in a web browser and can be printed from there. The default location for the template is C:\Program Files (x86)\Memory-Map\Navigator-6\Route_Card_Templates\Routecard_template.htm (this will be different if you changed the install location). There is a settings dialog panel for the Route Card, located in the Overlay Properties window for the route (see below), which allows you to change the average speed, and adjustments for uphill and downhill speeds. Convert to Track: is obvious. The route becomes invisible when converted, but you can always restore this setting later. Reverse Route: is also obvious, but although it switches the direction of the walk route, it doesn’t re-number the waypoints, so the last waypoint will now be number one and so on. Re-number Waypoints: This option reviews the route and re-numbers the waypoints from 1 onwards. If you’ve reversed a route or added waypoints into the route then this is a good way of resetting the numbering. Strangely, if your Route name ends in a number (for example ‘Day 16’) then the renumbered waypoints all start with that number, i.e. WP1601, WP1602 and so on. Another oddity is that the numbering of waypoints isn’t logical; in this example, the 99th waypoint would be WP1699 but the hundredth would be WP16100 and not WP1700 as you may expect. Enclosed Area: Leads to another sub-menu, the items in which are only active if the route you’re using is ‘closed’ or circular. You close a route by making your last click of the route on top of the first waypoint for that route. Unlike all other route waypoint clicks, this will end the route and you don’t need to press the [Esc] key to end the route. 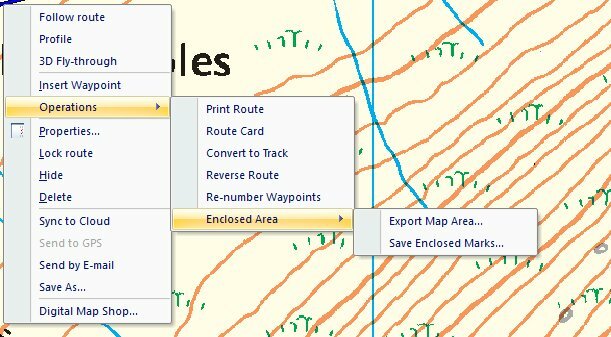 Export Map Area: This option allows you to save the map area, inside the route, to a QC3 file of its own. This is particularly useful for cutting up map sections and saving them on your mobile device. 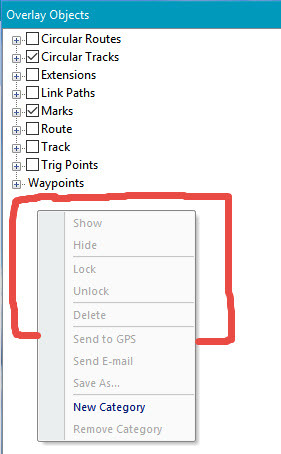 Save Enclosed Marks: This option lets you save all the marks inside the route into a separate file. This is one way of capturing a number of marks on the screen – perhaps cutting half a dozen hills out of a much larger selection. Goto waypoint: Only useful if you’ve got a GPS attached, as this shows direction and distance, in two small popup windows, to this waypoint from your current position. Offset by: Opens a settings dialog that allows you to add a value for Offset and Bearing for this waypoint. Add waypoint before: Adds a waypoint, locked to your mouse pointer, in between the waypoint you’ve just clicked and the one prior to it. When you click on the map the new waypoint will be dropped in that position. Add waypoint after: The most useful option in this menu. You will use this a lot, to extend or continue an existing route. A new waypoint will appear, locked to your mouse pointer after the waypoint you just clicked. Unlike the previous menu option, this one is continuous, so you won’t need to keep clicking the option, it’s active until you close the route using [Esc] or by double clicking, or by clicking on the first waypoint in the route. Drop waypoint: Removes the waypoint from this route, but doesn’t delete it from MM – leaves it as an orphan beside the route. Lock waypoint: Locks the waypoint, so it can’t be deleted. If the route is not locked and you delete the route, this waypoint will be left on the map, orphaned. Delete waypoint: As it suggests, it deletes the waypoint from the route and from MM. You can also use the [Del] key on the keyboard, once you have selected the waypoint. When you delete the waypoint with the menu option, it prompts you with a [Yes/No] box, but it doesn’t when you just hit the [Del] key, so I tend to use [Del] in most cases. When you delete the waypoint, the next numbered waypoint will be selected. This makes it easy to delete large sections of a route just by hitting the [Del] key. Bear in mind that the numbering of waypoints is not logical (see above) and the next numbered waypoint may not always be the next waypoint in the route! As a result, this process can be a bit hit and miss. Ideally start at the earliest waypoint you want to delete and work your way forwards along the route hitting the [Del] key. As you select and delete the first waypoint, the next numerical waypoint number is selected by default, so you can just hit delete again. If however, you have lots of routes in memory, there is a small chance that the next waypoint that is selected after you hit delete on the first one will be in another route (or earlier in the same route) and not even on the screen – in this case, you’ll need to select each waypoint individually to delete it. Otherwise you may inadvertently be deleting waypoints in another route. Tracks can be joined and separated (or split) using the right click menu. So if you want to join two routes the only way at the moment is to convert them both to tracks and then use the join track option, from there you can convert back to a route – which is a bit of a pain, but does achieve the goal. Profiles: this now offers a sub-menu and off this we have options that relate to a track that has been recorded by a GPS and imported into MM. So things like elevation as recorded by the GPS, Speed as recorded by the GPS and so on appear in here. No use at all if it’s a track you created manually. Split Track: splits the track into two separate tracks at the point you right clicked, or possibly at the nearest change in direction to that point. Join Track: allows you to join two tracks – depending on how far apart the two tracks are, you may need to edit one of the track settings to make the join work. If they are close together the join may work with the default MM settings. If it doesn’t, you will need to click on one of the tracks, set its ‘Min update distance (m)’ field to a big number and try the join again. A big enough number should join the desired tracks. If the number is too big, you may find you’re joining the wrong tracks, so you will need to experiment with this setting. (Thanks to Dales for this tip – see comments below). Convert to Route: Converts the track to a route, complete with waypoints that you can then manipulate. As mentioned earlier, this is used in the process of joining two routes together. 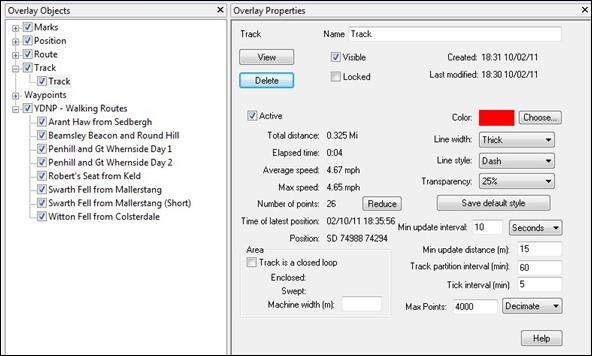 You will find that the default settings on the track properties will produce a route with many fewer waypoints than you would expect, with the resulting route looking very different from the source track. This can be resolved using the same setting as above, ‘Min update distance (m)’ only this time we need to set the number as small as possible, ideally zero. Once you’ve modified this track properties setting, convert the track to a route and the route will be identical to the track. (Thanks to Dales for this tip – see comments below). Remove Trackpoint: is a function of a recorded track from a GPS. A trackpoint is a point in time recorded by the GPS, there will be many trackpoints recorded every minute and this allows you to remove the one closest to the mouse pointer. Useful if the GPS lost signal for a few seconds and has bounced around looking for it. You will end up with a very spiky tracklog and removing some of these trackpoints will remove the spikes. Reduce Points: removes a percentage of the trackpoints and reduces the granularity of the recording. The more you reduce points, the smaller any resulting GPX will be when you export it. So it’s great for sharing tracklogs, if all you want to share is the route you followed and you’re not bothered about losing detail. GPS Demo: recreates what a tracking GPS looks like. Not very useful as it runs in real time, so a four hour walk will take fours hours to play out! From a personal point of view I find that tracks are visually more pleasing than routes and if I print a map with a walk on it, I tend to use tracks rather than routes. I find that the waypoints in routes get in the way when you’re looking at a printed version, and as it’s very easy to convert a route into a track, it’s a no-brainer for me. After trial and error I’ve found that a Thick track, in Yellow, with an Opacity of 50% makes for a great printed route. Marks are very similar to waypoints, the only difference being that waypoints are a type of Mark that is used to construct routes, and they have very little use outside of this function. Marks on the other hand are very useful indeed. 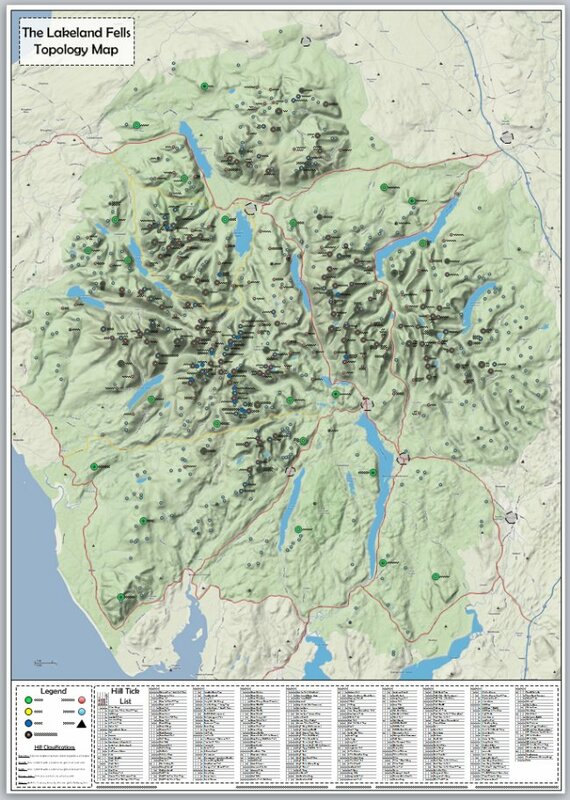 Think of Marks as a way of adding items of interest to your maps; that may be hill summits or trig points, car parking, camp sites or B&B accommodation, pretty much anything you could want to add to a map or route. I have dozens of overlays with nothing in them but Marks – my hill lists and trig point lists are just huge collections of Marks. Big lists can take a while to load into memory, and MM sits there like it’s broken while they load. Like routes and tracks, Marks have their own Overlay Properties, similar in many ways, but missing some options (like opacity and width) and gaining some other options (like Show name and Circle radius, which are described later in this guide). Although MM comes with a couple of dozen different icons for Marks, it’s also possible to add your own. You just have to follow a few simple rules. First of all the icon must be 32 x 32 pixels in size and the file format needs to be one of: PNG, BMP, JPG or GIF. To import them into MM you use the Overlay > Icons menu option and then select the [Add] button. Point to the chosen file, click [OK] a couple of times and you’re sorted. You can now use your new icon on a Mark. This is maybe the hardest concept to come to grips with when using MM. MM doesn’t use files the way every other Windows App does. You don’t open and close files in the traditional manner. For one thing, MM will not delete what’s in memory when you close the app, it stores it in a temp file for you. So when you open the app again the same routes, tracks etc are still there. This is both a blessing and a curse! MM uses Overlays. An Overlay is a collection of routes, tracks, marks and so on. You must “import an overlay” when you want to “open a file” and you must “export” (either ‘all’ or part of the resident overlay) when you want to “save a file”. The first thing you will try to do, is to have one overlay file with all your routes in, which is always open – problem solved right? Not really. Overlays with more than a few routes and tracks become very unwieldy. When you add a few hundred Marks as well, the situation becomes impossible. When you launch MM it will take longer and longer to open as ir processes the Overlay. Adding new Routes and Marks will become really slow, manipulating existing items will be painfully slow. Even with a very fast PC and loads of RAM using MM can be very, very time consuming when you have lots of data in the Overlay. I run an Intel Core i7 (8-core CPU) with 16Gb RAM and the Database of British Hills (25,000 Marks) can take 2-3 minutes to load into MM. The best approach is to break your Overlays down into individual files and find an acceptable compromise between the number of items in an Overlay and the time it takes to load into MM. In the example above, I break the DoBIH list into regions (using ‘Save Enclosed Marks’) and load the region I need at the time. When you have a group of routes created and want to save them, you use the menu option Overlay > Export All and MM prompts you for a location to save the file to. If the file already exists you get the usual prompt to overwrite the file. If you want to save a single route you can right click the route and select Save As. 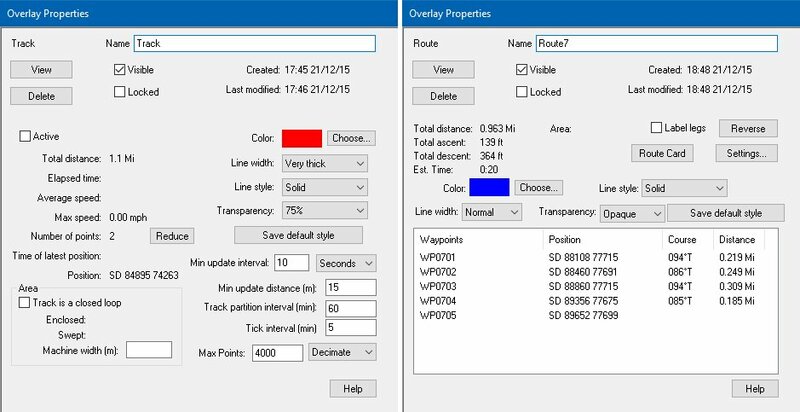 As you can see from the screen shot below, you can create Categories within the Overlay to group together different sets of routes or marks or tracks. You can then right click that category title and Save As… into a new Overlay file. With dozens of routes on the screen, things can start to get messy very quickly with routes crossing all over the place. You can hide data so it doesn’t appear on the screen. In the screenshot above you can see a check box beside each of the items in the Overlay. Deselect the checkbox to hide the item (or Category) from the map display. Even though it’s hidden, the data stays in the Overlay, even when you save it, but just doesn’t appear on the screen. A useful feature is the ability to hide a bunch of items then only save the ones that are left visible. Use the menu option Overlay > Export Visible, to do this. You will only be saving what you see on the screen. Often useful for just saving a couple of routes in one overlay file. If you export data from MM v6 and want to use it anywhere else, even in v5 of the same product, you must use GPX file formats. The MMO file format is proprietary to MM and it’s fixed at the version level, with no backwards compatibility (although v5 MMO files can be opened in v6 thankfully). 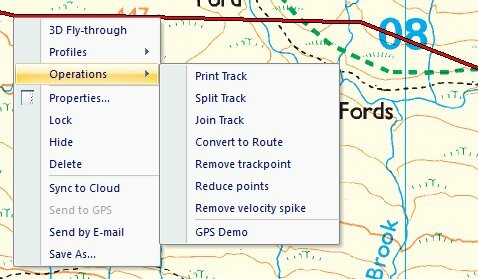 GPX is the new default export format, and the format has been enhanced in MM v6, so it saves more detail on the tracks and routes than it did previously. For example, a GPX file exported from MM v5 didn’t save your style changes to tracks, so when you imported them, they all took the default track style, even if you’d modified them. The new v6 GPX format has new sections for style information, so these will now be retained when you export and then import them. I’m assuming that when these are imported into third party products that read GPX files, these sections are ignored by that program if they don’t recognise them, rather than failing to read the file completely – but this is just a guess at this time, I’ve not tested it. However, the GPX 1.1 Schema that MM is using does support personalisation to an extent, provided it follows the correct format, so I’m assuming that the MM have implemented their own ‘extensionsType’. I am struggling to create separate overlays with collections of different marks, ie one for archaeological features in an area, one for place-name types and so on. When in the overlay objects panel a right click will give the option of opening a new category but this nests under the initial category and not as a new category. Any help to get what must be a simple process sorted would be gratefully received! Michael – Oh I so know what you mean – this is another really frustrating and poorly implemented feature. The knack is to right-click underneath the existing list of categories, not beside them. If the “Remove Category” option becomes active you are still beside the existing categories. I’ve tried to attach an image to this (may not work) you would need to right-click inside the red area in this example. Many thanks Stuart, will give that a go. Not from within the MM interface, no. However, you could export them to a CSV file and update the correct column with the code for the icon you want to apply to them. 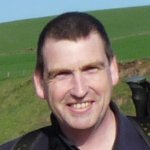 See part 6 of the guide – you need to modify column D of the CSV file – then import them back into MM. Useful Tip: if you want to do this, change one of the marks within the MM interface before you export, so when you export to CSV at least one of the marks will have the code you want to apply to all of them. In addition to your methods for map scrolling while plotting a route, I also click and drag with the scroll wheel. Also I had given up on creating custom icons until I found your articles but now they are simple. Has MM done an update. I have been using 48×48 icons lately. The only problem was, my custom icons were not showing in the icon list after adding them so I deleted some that I don’t use and then mine showed up. MM certainly make things hard work. Memory Maps have the worst customer service I have ever experienced. Not worth the effort. After I have prepared a Route, I always turn it into a Track and delete the Route. This stops waypoints from cluttering up the screen. But more importantly, my (single) overlay opens up in 3 seconds flat – and it’s got nearly 1,000 Tracklogs in it. MM processes Tracks very swiftly indeed. It’s the Routes (and Marks) that cause the delays in the system, which in turn forces people into grappling with multiple overlays. You need not lose ANY accuracy when converting from a track to a route. Just set the track’s Min Update Distance to zero. 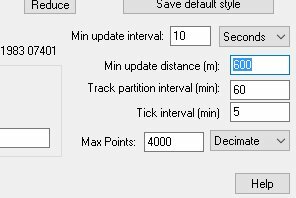 Also, the way to join tracks which are far apart, is to set the Min Update Distance of both tracks to a very large value. Another thankyou for some simple instructions & help unlike the complete gobbledygook MM come up with. I still have no idea the difference between when I would use a track & a route & when I might use a mark? Anquet is much easier & I also wish I hadnt wasted my cash changing. The only time I create a track is when I want to overlay it on a map I’m going to print out, otherwise I use routes. Tracks can be given transparency and dont have the annoying waypoints cluttering up a printed map page. A mark is for adding points of interest such as camp sites, parking places and the like. I use them for marking official hill summits and trig points on maps I’m going to print. Thank you for these articles, they are a lot easier to understand than MM’s guides. I bought MM to replace my elderly version of Anquet, mainly because MM seems to be the mapping system used by all the Cycling and Walking mags. It was a mistake and now I have to live with it. Anquet is far easier to use and understand and offers better ways of planning i.e joining and continuing routes.